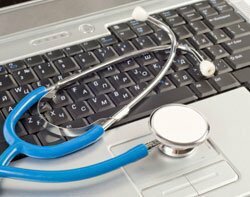 The fears around electronic health records are mirroring issues already being dealt with today on paper. This is the belief of Geraldine Mynors, co-founder of consultancy firm Mynors Suppiah, who has written a guide for the public on how to keep their medical records safe. The government has set a target that all medical records should be digitised by 2015, putting pressure on primary care organisations to get their practices ready for the move. However, it has also caused concern as to whether the public will benefit or if vulnerable groups will be excluded. When Computer Weekly asked Mynors if the government target was achievable with so many questions still left unanswered less than two years before the deadline, she said those same worries were already present in the current system. “One of the things we encountered a lot through this work is all of these problems that are raised, tricky ethical issues and dilemmas, are not new problems. They are all problems which already exist with paper records,” she said. Mynors said solutions have been in place for some time, but what is likely to cause an issue is the rising number of complaints that easier access will encourage. “With online records, the scale of the incidents is going to be magnified tremendously. Suddenly, instead of the odd person making a subject access request and paying their 50p a sheet, it is going to be a big chunk of the population,” she added. However, Mynors sought to reassure visitors to the HC2013 conference by saying the problems had been dealt with in the past so they could be dealt with again. I've heard that hackers have been known to encrypt providers' EHRs, and then demand a ransom for the key. Has that ever happened with paper medical records? Darrell Pruitt makes a good point, individual medical centers are at risk. Government storage of your medical records is a breach of Doctor - patient privilege. It seems the only ones guaranteed not to be able to access their medical records are the patients themselves. So what's the solution? In today's world fast access to medical records online is a must. Relinquishing your legal rights to your medical records by using government medical storage systems which can be accessed by just about anyone but the patient is a bad idea. Electronic health records are continuously developing. So I believe that the issues that we encounter today have the hope of resolving in the future.